What does the growth in CAVs mean for the future of mass transport? How things change. Just a decade ago, the majority of people wouldn’t even know what a ‘Connected vehicle’ was. The past few years, however, have seen several transport technologies shift from the realm of fantastical to entirely possible. 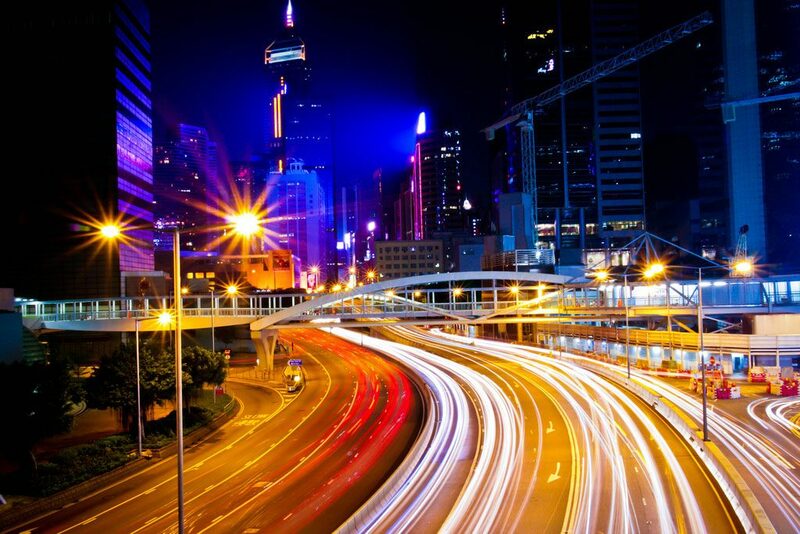 The rapid pace of technological development has brought us to a point where an entirely connected transport infrastructure is not just possible, it’s becoming a reality as we speak. Likewise, the growth of data-sharing devices and AI has given rise to a new form of transport; the Connected and Autonomous Vehicle (CAV). These AI-driven, data-guided vehicles represent an opportunity to improve safety, reduce congestion and revolutionise travel as we know it. The term CAVs actually covers a broad range of vehicle types. Some of these are already on our roads, while some (despite what excitable tech bosses might tell you) are still several years away from commercial deployment. ‘Connected vehicles’ refers to vehicles with the capability to ‘talk’ to each other and to the infrastructure around them. These vehicles communicate through onboard devices that connect to the internet, which then send information to other vehicles containing the same technology. These devices usually take the form of a dynamic onboard router, but they can also be GPS units, tachographs, or even a smartphone hooked up to an onboard computer. Connected vehicles have also been in use for several years. Features like automated emergency braking and lane assist technology are already included as standard in many new vehicles. Fully automated vehicles, where the vehicle can navigate without the need for a human driver, however, are still in their tertiary stages. Although there have been some highly publicised test cases, we’re still several years away from seeing them overtake the human-driven car. Transport is in dire need of change. Cities can no longer continue to permit any and all vehicles on the road. Ageing infrastructure, increasing car ownership and dwindling public transport ridership are contributing to record levels of congestion and dangerously poor air quality. 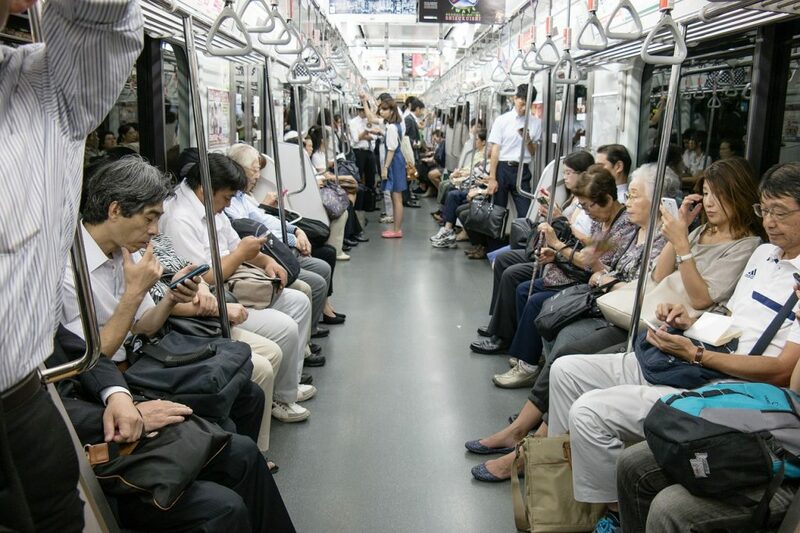 Governments are responding to the demand for more sustainable travel initiatives by integrating technologies like big data, the Internet-of-Things and AI to usher in an era where CAVs are increasingly seen as the most viable option for transport networks. In Edinburgh, where the government is set to trial it’s first autonomous buses, MSP Michael Matheson said: “The deployment of Connected and Autonomous Vehicles has the potential to bring transformative change to people’s lives, not just in how we travel, but in how we work; where we live; how we can achieve an environment with fewer emissions; and travel more safely.” The potential for CAVs to usher in a new age of clean, efficient transport is clear. CAVs can help countries achieve a greater level of sustainability while encouraging greater economic growth and creating a more inclusive society. The market for CAVs in the UK (specifically, for road vehicles with CAV technologies) is estimated to be worth £28bn in 2035, capturing 3% of the £907bn global market. Simultaneously, UK jobs in the manufacture and assembly of CAVs could reach 27,400 in 2035, according to a study commissioned by the Centre for Connected and Autonomous Vehicles (CCAV). It’s not just the potential industrial benefits that should push cities to invest more heavily in CAVs, however. Streamlined urban transport allows passengers to get where they need to be faster. With the total cumulative cost of congestion in the UK estimated to be £307 billion from 2013 to 2030, these improvements couldn’t come soon enough. Besides the benefits to the economy, using CAVs in mass transit can help entice car users back to public transport. This, in turn, enables more research into new technologies, which allows transport networks to grow and develop. It’s a cycle that, when implemented correctly, rewards everyone. A streamlined service gives passengers more control over their day. When commuters know exactly when their journey will start and end, they can make informed decisions about other aspects of their routine. 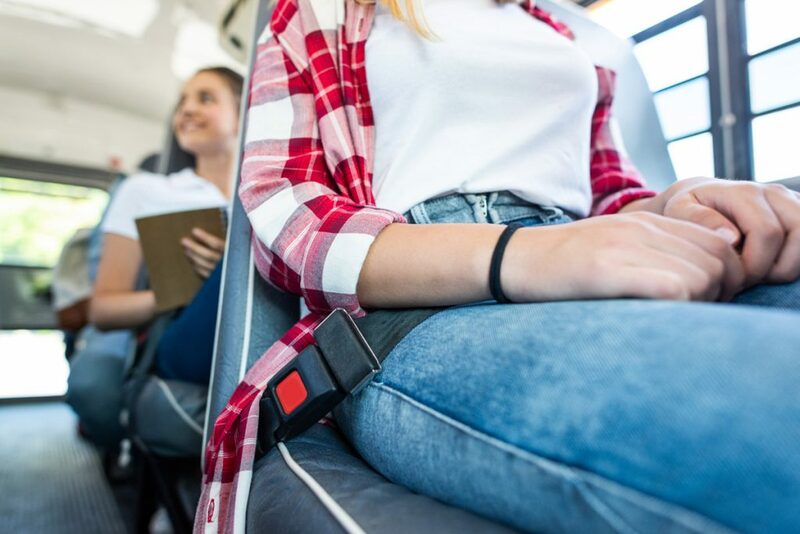 CAVs, with connected technologies optimising every journey, mean more reliability, leading to improved passenger satisfaction and increased patronage. Onboard connectivity also allows passengers to create their own entertainment during the journey. Passenger WiFi enables commuters to browse socials, check emails or catch up on the headlines. With onboard entertainment, meanwhile, passengers can sit back and pass their journey with the latest TV, movies and music. Perhaps most importantly, CAV’s will be vital to a future in which ‘Mobility as a Service’ (MaaS) is the standard transport model. MaaS means unifying myriad forms of public transport (train, buses, taxis, bicycles) to give commuters access to on-demand transport. MaaS offers the most economically and environmentally efficient solution to urban travel, but it’s only possible with connected vehicles. This form of multimodal travel is also the most convenient, which increases the chances passengers will use it. Whilst fully automated vehicles would render the human driver obsolete, that doesn’t mean vehicles would be completely unstaffed. Operators that have already trialled autonomous buses have so far retained human drivers in the event of unforeseen circumstances. Even with the AI handling navigation, onboarding and interaction with external infrastructure, passengers will invariably expect a human presence. Of course, the shift from human to AI driver will inevitably lead to a reduction in drivers. Indeed, that’s one of the biggest attractions to transport operators; allowing them to save on wages while improving efficiency. But, at least for the first generation of CAVs, it looks like drivers will still be a required element. For drivers of public transport today, it’s the ‘connected’ element of CAVs that offer the most opportunity. With connected vehicles, buses can ‘talk’ to every element of connected infrastructure. Other vehicles, traffic lights, road signs, even the roads themselves can provide information inform driver decisions. This helps to reduce congestion and coordinate journeys to reduce travel times. Reducing road dangers, for pedestrians and passengers, is of utmost importance to every transport operator. A major advantage of CAVs is they remove the margin for human error. Automated vehicles will never be too tired, drunk, or just distracted, to responsibly control a vehicle. This improvement in safety, however, may not be obvious to passengers. Those already using public transport do so because they trust the driver to deliver them safely to their destination. This confidence doesn’t necessarily extend to new technologies. A recent survey on public attitudes to driverless cars revealed just 17% of people would feel safe in an autonomous vehicle, compared with 61% in a human-controlled vehicle. This is partly the result of a general mistrust of new, (relatively) unproven technologies. But public reticence also stems from high-profile incidents in which AI failed to anticipate the most unpredictable of all variables; human behaviour. These behaviours; for instance, hand signals from traffic police, are key to maintaining safety on the roads. For now, at least, human driver behaviour is beyond the understanding of even the most advanced autonomous vehicles. As Google’s Chris Urmson (co-founder of Aurora, an autonomous vehicle start-up) explained, self-driving vehicles are only safe in a vacuum; they can’t guarantee safety as long as there are other humans driving on the same road. The transport sector is now the biggest contributor to CO2 emissions in the UK. The latest government figures show CO2 emissions from transport decreased by just 2%, meaning it now accounts for 26% of UK greenhouse gas emissions. For the UK to achieve it’s carbon reduction targets, the transport industry must push measures to reduce emissions now. Public transport, and CAVs, in particular, will be at the forefront of these efforts. As more cities introduce Clean Air Zones (CAZs) in a bid to improve air quality, public transport must adapt with it. Part of this change requires introducing technologies that reduce congestion and optimise traffic flows. CAVs will play a key role in this change. At its heart, connected transport is about creating a genuinely open ecosystem. CAVs only function in a cohesive and connected world; a world in which data informs every aspect of the journey. The rapid growth of the IoT sector is a testament to how much faith cities are placing in the power of data. Data from public transport can inform every stage of the commuter journey, and reduce fuel consumption in the process. So far, autonomous transport technology has focused on the individual. Much more important is investment in mass transport options to draw people away from car travel. It’s only through encouraging greater use of the current transport infrastructure that we can hope to develop new services that truly appeal to the needs of passengers. Even with major investment, rural areas could be shut out of the connected vehicle revolution. The majority of government grants will go to the largest national and municipal transport bodies. Simultaneously, most independent operators aren’t in a position to invest in autonomous vehicles. 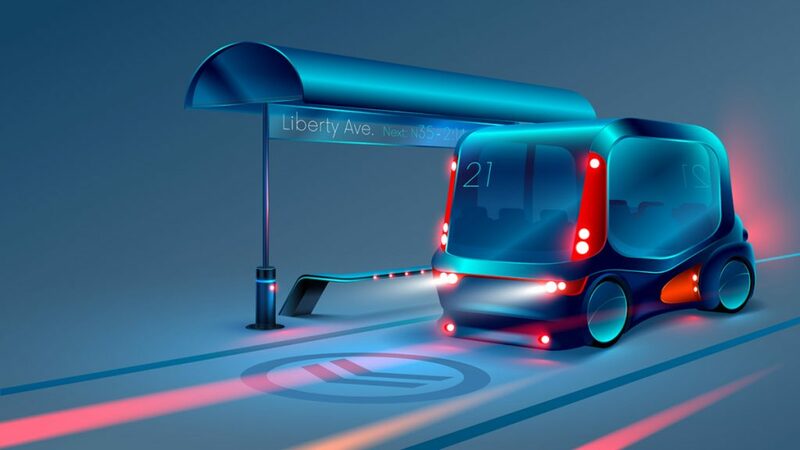 Sadly, while autonomous public transport could become a reality within the next ten years, it’s still just a dot on the horizon for the majority of transport companies. Get in touch with Sygnal to for help on integrating onboard technologies into your own vehicles. Ridership of public transport is in freefall. 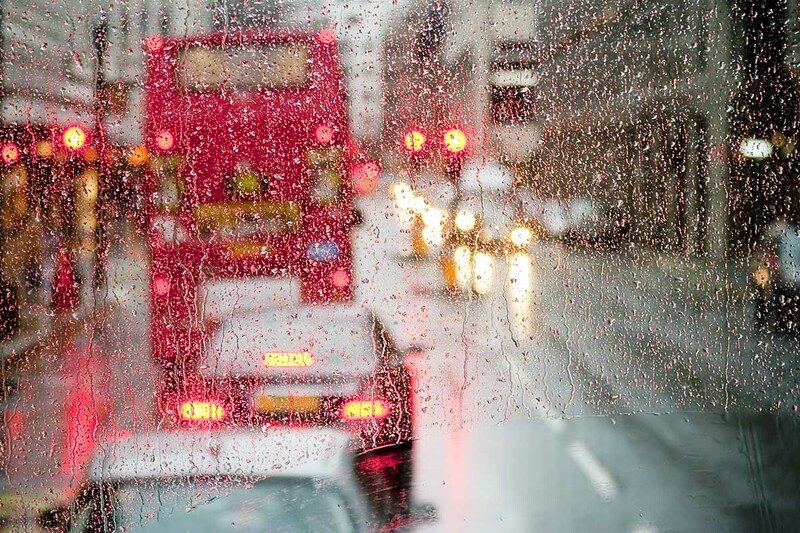 In the UK, local bus passenger journeys outside London decreased by 63 million (2.9%) in 2018. And despite holding steadier numbers than the rest of the country, London is not immune to this downward trend. Statistics for bus journeys in the capital show a 5% decrease since the 2014-15 fiscal year. Likewise, the London Underground reported a drop of 19m, or 1.4% in the number of Tube journeys in 2018 compared to the previous year. The same is true in cities around the world, where the rise in on-demand services, changes in working patterns and wider demographic and economic shifts have drawn commuters away from public transit. So what can transport networks do to win back the public? It won’t be easy, but as cities around the world finally push to improve urban air quality, it’s essential we act now to restore faith in local transport. The success of any civic amenity hangs on one simple reality, it’s all about convenience. The past ten years have seen a major increase in the number of private hire journeys precisely because they offer a simpler, more personalised service. Why would a commuter choose to walk to a bus stop, wait on a bus (often delayed), then disembark and walk yet further to their office, when they could hail a private vehicle to pick them up from their house and take them directly to their workplace, at a time of their choosing? Public transport networks need to begin integrating features that emphasise the convenience of public transport over private commuting. Personalisation is key to making passengers feel like more than just another number. And what’s the key ingredient to personalisation? Take advantage of modern technologies to improve the passenger experience. mTicketing, for instance, does away with arbitrary ticket pricing and the need for cumbersome change (for drivers and passengers both). A mobile app with vehicle-tracking provides visibility to passengers waiting outside. If a service is delayed, commuters deserve to know in advance so they can make an informed decision about whether to wait. Similarly, if services have been re-routed or cancelled, a mobile app means commuters can be notified instantly through their personal devices. Meanwhile, Passenger Information Systems (PIS) add clarity to new journeys, notifying passengers to upcoming stops. Integrating a PIS that offers both visual and audio information also makes transport more accessible to passengers with sight or hearing problems. Adding onboard WiFi, meanwhile, opens up a new realm of connected entertainment for passengers. Now they can start their day before they even reach work, catch up on their social channels and unwind after a long day with their own content. These new technologies represent an opportunity some operators may not have considered. 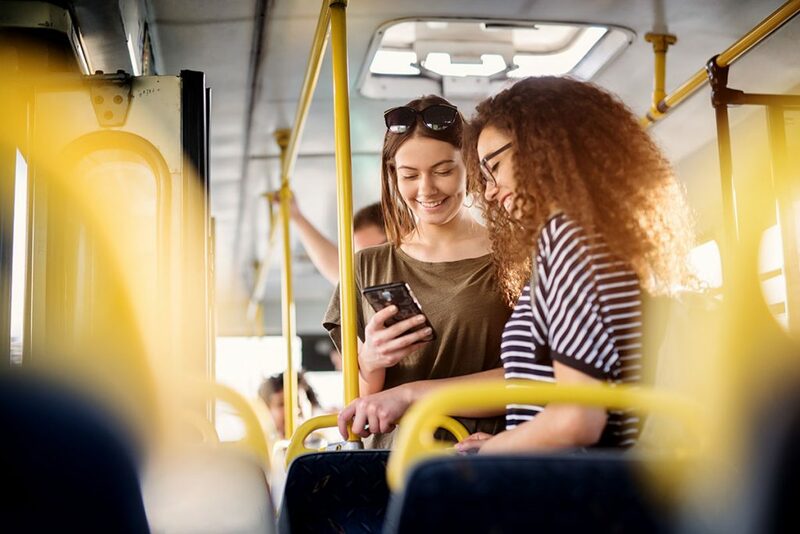 Onboard WiFi can incentivise commuters to swap the car for a relaxing bus journey, but it also offers an additional source of revenue through the promotion of partner businesses. This means operators can offset the cost of their WiFi connection and simultaneously develop connections with local businesses. Although it’s been used for decades, it’s only in the past few years that transport authorities have begun to truly harness the power of data. 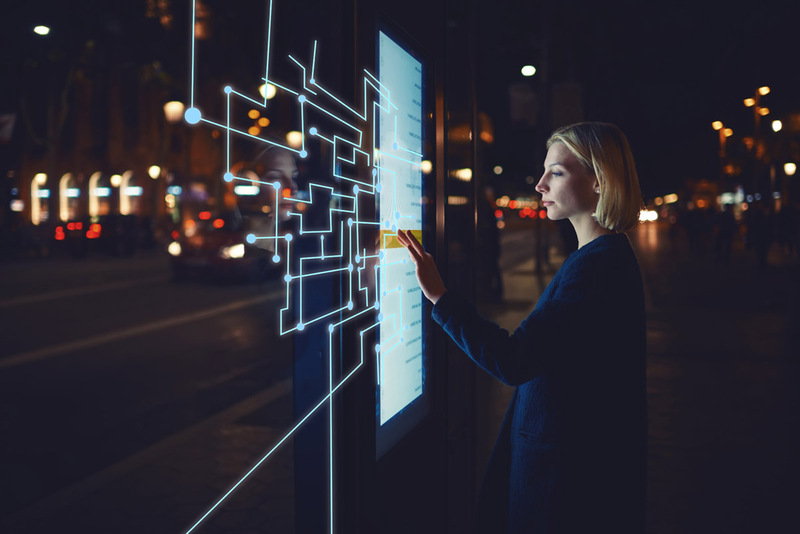 Fuelled by the rise in connected devices, metrics from open data initiatives are transforming the way we move around urban areas. 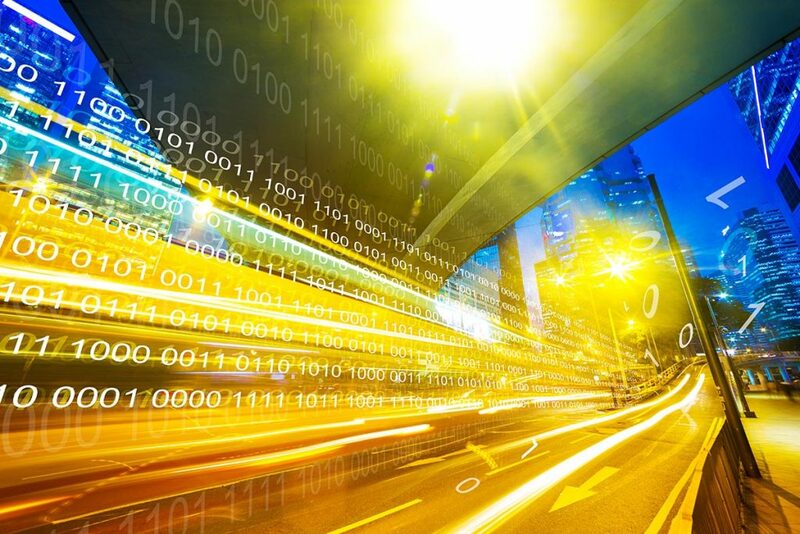 The value of data in gaining a detailed overview of highly complex transport infrastructure has made it an essential element of modern travel. In fact, the growth of MaaS models, where commuters can combine multiple modes of transport to reach their destination, hinges on the availability of accessible data (but more on that later). Likewise, data can help reduce congestion and optimise journeys. Using city-wide data collection points, traffic lights can track buses and manage routes to reduce waiting times between stops. Coupled with a mobile app, this data can also be used to quickly and efficiently inform commuters about changes to services. 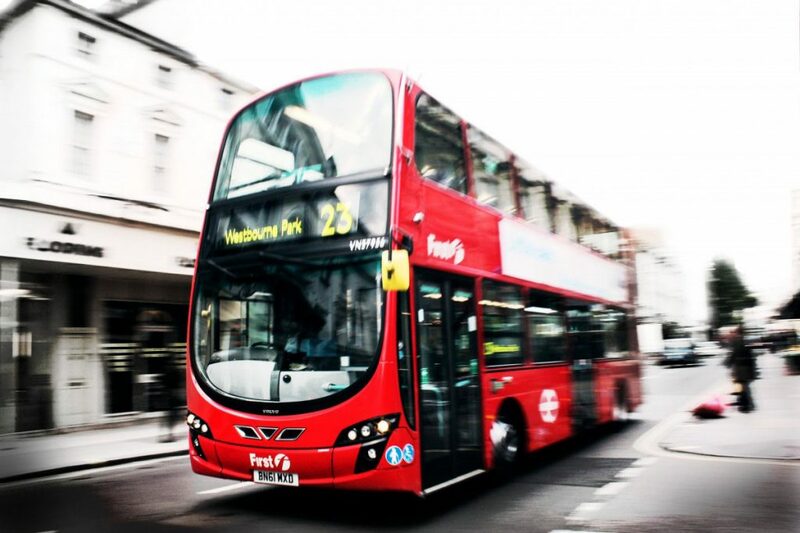 Despite the overall downward trend, several cities across the UK have reported an increase in public transport use. Every city has its own unique requirements, so pinning down exactly why some areas are bucking the trend isn’t easy. That being said, there are some common factors that could point to a solution, and chief among them is multimodal travel. For the uninitiated, multimodal travel refers to the integration of multiple forms of transport to offer a more seamless travel experience. For a traveller arriving in a multimodal city by rail, their train ticket can also be used to board a metro service, ride the local bus, or even hire a bicycle. For services to move to a manageable collaboration between the transit system and external organizations, there must be a mutual benefit. This presents a conundrum for public transport authorities, who cannot be seen to be favouring private transport companies. Transport authorities can remedy this by offering public tender contracts for the different transport modes. Similarly, apps like Citymapper are working to link public transport networks with local cab companies to cover first-mile/last-mile, with public transport making up the bulk of the journey. While this encourages commuters to leave the car at home, it still requires small-capacity private vehicles on the road. But how do cities create a cohesive network that responds to the needs of every citizen? The solution can be found in cities already pioneering the multimodal model. Columbus, Ohio, was awarded the U.S. Department of Transportation’s (DOT) Smart Cities challenge for its work in developing a connected travel solution for commuters. Through extensive research, the city identified residents’ requirements and drew up a proposal that encompassed the use of real-time integrated data, priority bus lanes and mobile apps to connect visitors and citizens. The environmental benefits of public transport over private car travel are already well documented. A fully loaded bus has an 83% less environmental impact per passenger mile than a single-occupancy passenger vehicle. Simultaneously, increased sustainability is not only environmentally beneficial, it’s also an opportunity to lower operating costs. With these savings, transport authorities can begin to invest in more energy efficient vehicles, while existing vehicles can be retrofitted with Selective Catalytic Reduction (SCR) emission control units to reduce NOx and NO₂ outputs. Even with these features, however, transport networks need to make drastic changes in their approach to environmental issues. The future lies in developing a sustainable network with the smallest carbon footprint possible, and that means introducing fully energy-efficient vehicles. New vehicles, however, are only possible with increased investment, which is itself only possible if we can reverse the decline in passenger transport use. It’s a vicious cycle that threatens the future of mass transit, right at the time when we need it most. To improve the environmental impact of our transport networks, cities must first establish new channels of revenue. To that end, cities must begin to expand Clean Air Zones (CAZ’s) and increase taxes on private vehicles in urban areas. Likewise, transport authorities can take advantage of government subsidies and innovation funding for projects that improve the local environment. Of course, the issue of decreasing public transport usage goes beyond mere investment; after all, spending heavily rarely means spending wisely. But investment is essential to create a scalable, future-ready model that can adapt to the changing needs of citizens and the surrounding environment. Councils must be ready to invest not just in new vehicles, but in the entire infrastructure of their city. After all, if transport authorities really want to restore trust in public transport, they must be ready to prove that they have faith in it first. If you want to get the latest transport news from Sygnal, sign up for our newsletter here. Where does coach travel fit in to the multimodal transport model? Although still in its infancy, multimodal transport ticketing – the integration of multiple modes of transport into one centralised platform – is already finding purchase in the UK transport market. Composite networks bridge the gaps between various, disparate transport types, different towns, cities and even regions. Of course, multimodal transport has existed in some form for generations – just look at your local park and ride. It’s only the past decade, however, that transport networks have begun to explore the real potential of a truly connected, cross-vehicle approach to transport. The value of multimodal transport is clear: no one transport can cover every area (at least without incurring extortionate costs). Enabling passengers to change between different means of transport streamlines the journey for everyone and reduces strain on the dwindling resources of urban areas. Every mode of transport comes with its own distinct set of strengths and weaknesses. Accessibility, space consumption, speed and efficiency vary according to the means of travel. The multimodal model aims to utilise the distinct strengths of specific forms of transportation to provide an integrated travel experience for every passenger. By integrating infrastructure and operational data along with information on routes, schedules, and fares, companies from a range of transport types can develop a seamless network that encourages mass transport and delivers complete connectivity from the first to the final mile. This need for a composite of transport networks is particularly felt in built-up urban areas, where people may have to commute from outside the city on a daily basis. The passenger could still be dropped many miles from their destination, however, and that’s when additional means of transport are needed. According to the study Millennials and Mobility, nearly 70% of people 18 aged to 34 use multiple travel options several times or more per week. The study, released by the American Public Transportation Association (APTA), found that while transport types like car-sharing, bike-sharing and walking play a part in the multi-modal network, public transportation is ranked highest – at 54% of respondents – as the best mode to connect to all other modes. Of course, this is largely due to it being one of the most affordable means of transport, another reason multimodal transport will only work if it retains a modest pricing strategy. The primary reason for this uptick in demand is simple; price. It’s cheaper to utilise a range of transports across the day than rely on one means of transport, even if it’s less convenient. Another reason for increased use of multiple means of mobility, industry figures argue, is that public transport enables the new generation of tech-first socialisers to utilise onboard technology such as WiFi for socialising, entertainment and even work – whereas transport via private car and taxi are less likely to offer these amenities. Creating a multimodal transport system is a complex, multi-department task that requires the integration of different institutions, networks, stations, user information, and fare payment systems. For bus and coach companies looking to establish a multimodal transport model, the challenge lies in developing a cohesive service between multiple companies within designated parameters. These could include studying the different zone configurations around a city, then combining these with data on the current road and rail network configurations, as well as the average speeds, passenger numbers and frequencies of these services. From this information, a detailed, flexible mobility model can be drawn up. For private coach companies, where journeys can be to locations around the world, the solution can be as simple as developing coordinated partnerships with local ride-sharing companies – linking the apps & offering unique deals from drop-off points to take passengers direct to their doors. Integrating the cost of pickup by ride-hailing apps into the overall ticket price can be complex, but that consummate service can lead to increased bookings and better overall passenger satisfaction. Passengers want flexible services that can be customised to suit their needs, and they want it all in one place – on their smartphone. The modern traveller expects service capable of providing the same level of flexibility as the car. Mobility as a Service (MaaS) is one of the fastest growing sectors in the world – and with good reason. This means more reliable networks, capable of providing real-time updates and additional services upon request. Multimodal transport, when designed around a mobile-first approach, can do just this. 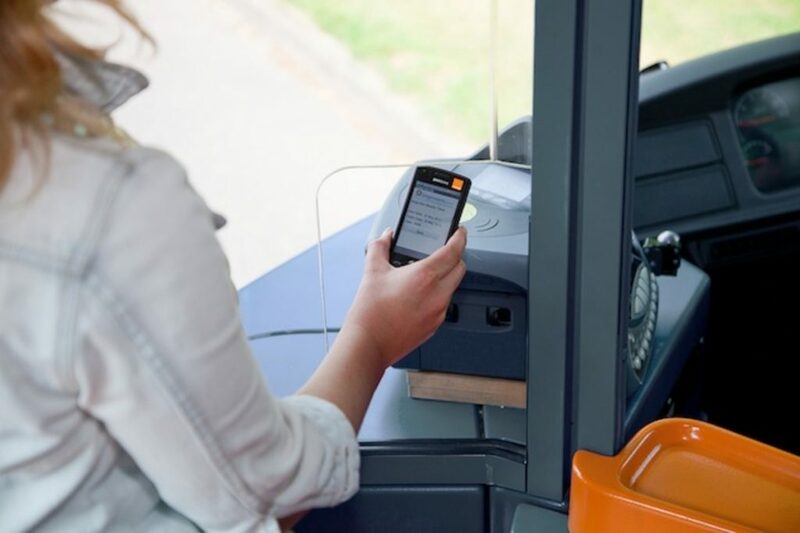 Apps that connect together the myriad means of transport will become an indispensable feature to travellers, while mobile technologies that unify ticketing systems under one platform will become even more popular. Millennials now expect onboard WiFi or 3G/4G wherever they go. 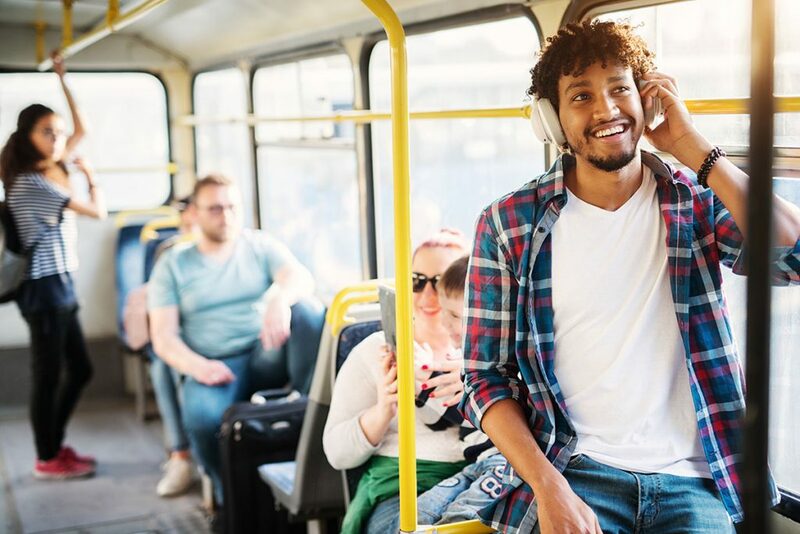 When transport companies leverage technology through real-time transit applications, mTicketing and the provision of WiFi and 3G/4G, passengers have the freedom to create their own journeys. In turn, these passengers are more likely to give positive reviews, recommend to a friend and, most importantly, use the service again. 75% of traffic congestion is caused by excess traffic. Poor air quality causes 40,000 to 50,000 early deaths in the UK at a cost of roughly £20 billion to the UK economy every year. 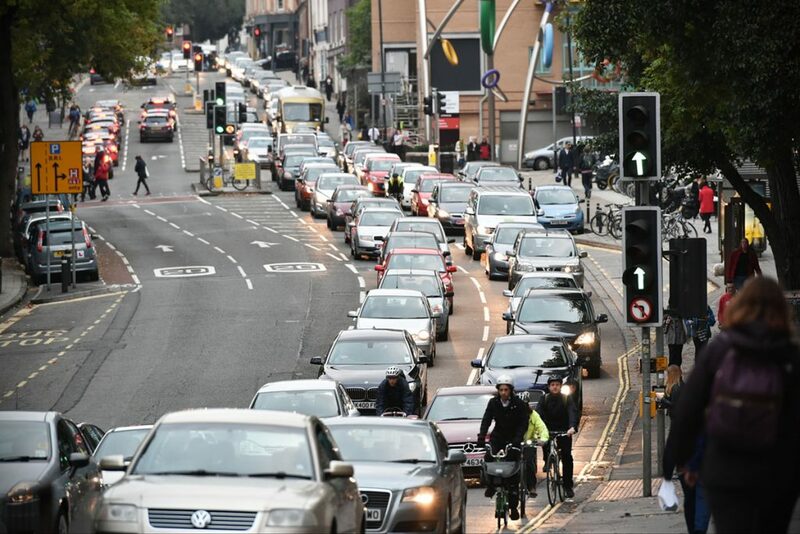 Simultaneously, traffic congestion in the UK’s largest cities is now 14% worse than it was five years ago. The proliferation of multimodal transport programmes provides a real opportunity to improve air quality in urban areas and enable cities to attain targets in CO2 reduction. More people using public transport means fewer cars on the road, which results in less congestion and cleaner air in urban areas. Not only this but as more people turn to a multimodal means of travel, the more money can be invested in improving infrastructure and investing in green technologies. For coach companies, multimodal travel provides an opportunity to develop their eco-credentials. As if reducing your company’s carbon footprint wasn’t enough, these measures can open doors to tax relief schemes that could lower outgoing costs. In London, the introduction of the Oyster Smart Card (and the subsequent Oyster App) enabled seamless integration across various modes, including metro, buses, light rail, and taxis. The multimodal institutional framework saw 32 million fewer paper tickets distributed within the first two years. Because multimodal transport requires the coordination of multiple companies, there is a general assumption that overall takings will be lower for each company. However, public tenders can lead to lucrative contracts. Government initiatives for cleaner urban transport can offset initial costs to transport companies and lead to opportunities in other regions. Of course, all coach companies must first consider how a new contract will affect their bottom line. Thankfully, initial expenditure to develop a centralised, coordinated platform, informed by data and intermodal terminals will pay dividends in the long run. The path to improved sales for every transport network involved in a multimodal system lies in developing and enhancing cooperation between the different stakeholders. In Hong Kong, the introduction of the ‘Octopus Card’ integrated the two primary transport methods – metro and bus – to great success. In fact, the Octopus scheme was so successful, it was extended beyond initial use in public transportation to include payments at car parks, vending machines, convenience stores, pay phones, supermarkets, and schools. 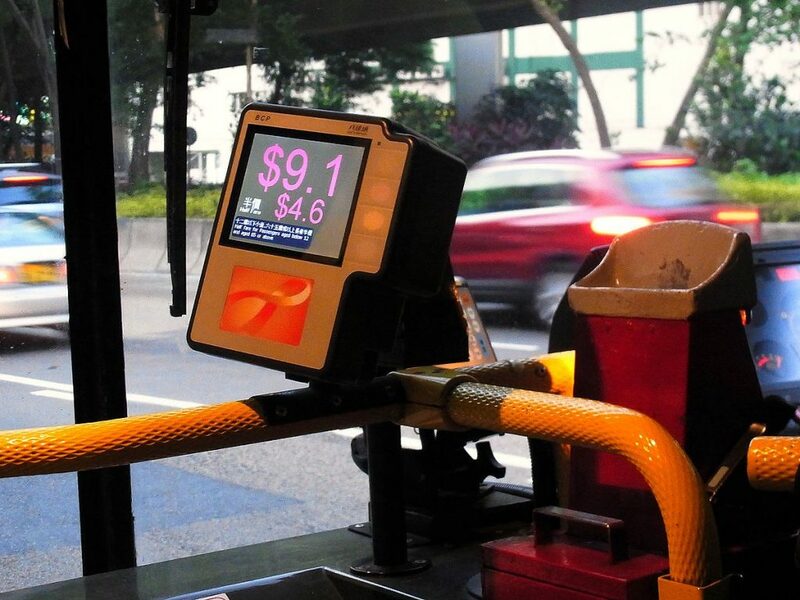 Because the Octopus initiative was developed as a joint venture with Hong Kong’s major public transport operators, the operators and infrastructure that support it had real incentive to install the Octopus system. Perhaps one of the most significant benefactors of a multimodal transport model is the traveller or tourist. Navigating a new city can be a daunting task, particularly when there are various, disparate means of transport, each with their own particular set of routes, pricing and regulations. Combining several key means of transport enables visitors to explore an area using just one ticket. If that ticket can be paid for and downloaded direct to a mobile phone, then it’s even more convenient. Multimodal networks don’t have to be confined to one particular city, however. 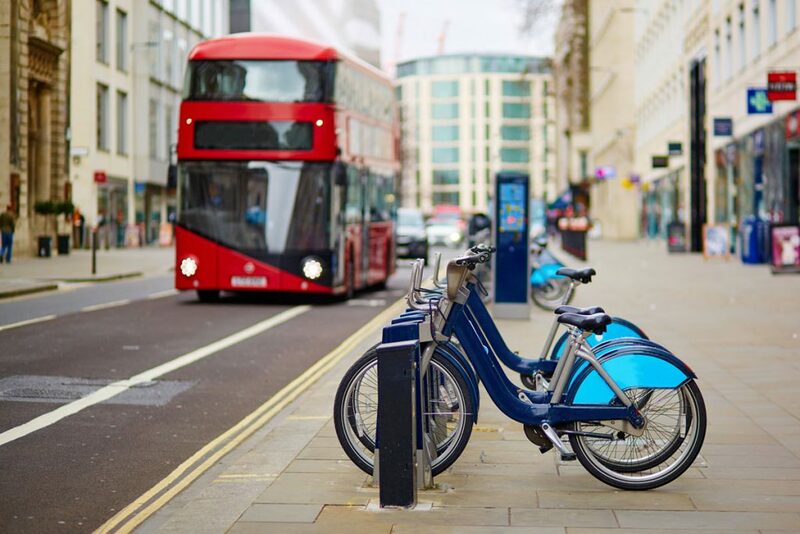 Coach companies that operate on a regional, national or even international basis can procure partnerships with local bus companies, taxi firms and bike-sharing initiatives. Through these partnerships, visitors can explore a city using a single ticket, then use the same ticket system to travel to another city entirely. Not only does this increase the likelihood visitors will opt for your coach network over another – it raises the profile of your company and increases the likelihood of developing similar partnerships elsewhere. In China, over 60% of cities now have some kind of multimodal system in place. The bike-sharing scheme in Hangzhou has allowed locals and visitors alike to travel around the city, reducing congestion and encouraging a healthier last- or first-mile approach to travel. Anywhere that a service is spread across numerous different companies/regions/municipalities, issues of liability will inevitably arise. The challenge in multimodal transport comes in apportioning blame in the event a customer is not satisfied with the service. After all, should a full refund be forthcoming when only one transport company was to blame? Public transport networks have, at present, sought to sidestep these issues by instituting a specific network liability rule, whereby any issues with a service are dealt with by the particular transport mode in question. This is just a short-term solution, however. If companies are to provide a truly unified service, they must begin to look at means to tackle these issues. In Latin America, for instance, the elaborately titled Latin American Association for Integrated Transport Systems and Bus Rapid Transit was set up to discuss the challenges of implementing new transit systems. In addition to this, national companies discussed regional strategies to help modernise urban transport through standardised, pan-enterprise coordination. As our understanding of the interconnected nature of our modern world develops, we will undoubtedly begin to explore the potential of multimodal transport in more detail. But if multimodal transport networks are to become a common feature in cities, and a solution that includes all modes of transport, both public and private companies need to begin integrating greater data-sharing technologies now. 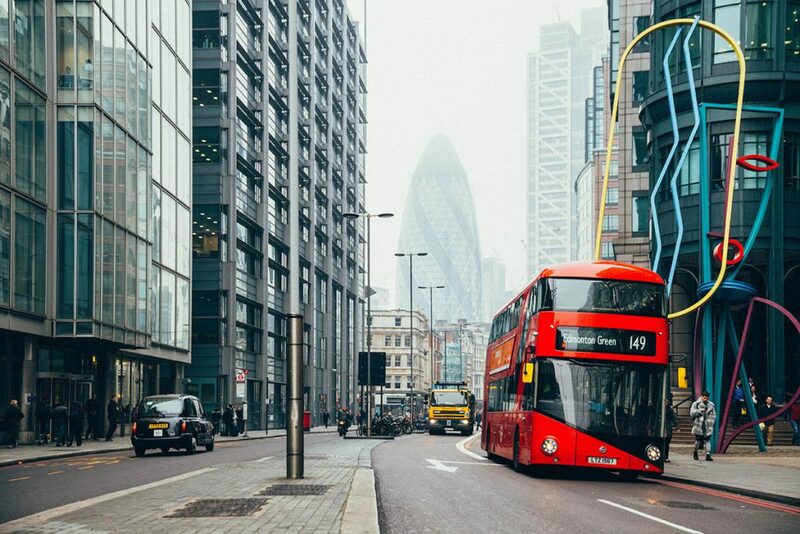 It’s only through a willingness to adapt and include new technologies that transport networks, including coach companies, can hope to confront the growing challenges of our increasingly urbanised world.